Toronto’s reputation as a multicultural, multilingual mecca is now well established. When my family and I moved here back in the mid-1960s, the transformation of the city from an Anglo enclave to a more cosmopolitan, diverse terrain was just beginning. As a unilingual, Greek-speaking 10-year old, I was suddenly immersed in a world of fluent English-speakers who had clearly never encountered anyone not able to communicate in English. I’m in the second row, second from the right. My translator, Vula, is in the centre of that row. 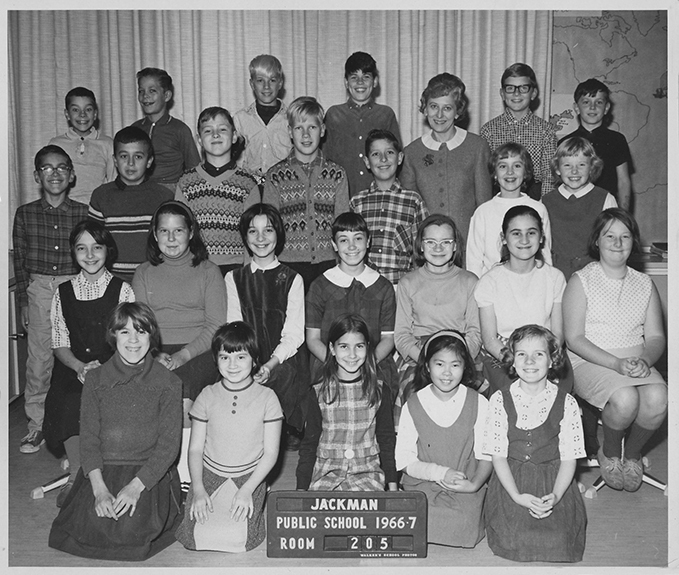 I landed in a Grade 4 class at Jackman Ave. Public School (now a French immersion school in a very desirable neighbourhood) with 24 other children who all spoke perfect Canadian English. There were two others (one boy, one girl) in the class who also spoke Greek but had been born in Toronto and were completely bilingual by the time I met them. I was overwhelmed but determined to understand what was going on around me. I had been brought up in a unilingual household and had no concept of how one could think and communicate in a different language. For a good part of the next few months, I was convinced that everyone around me was actually thinking in Greek but speaking in English. No doubt to confound me. As I struggled and listened, oh so intently (without the benefit of ESL classes, which did not yet exist), an enlightened and creative teacher made all the difference in my efforts to learn a new language and truly join the class. Mrs. MacEwen (one would be hard-pressed to find a more typical Anglo-Canadian) was an extraordinary educator. She quickly matched me up with the other Greek-speaking girl who asked me, on behalf of Mrs. MacEwen, if I would make a presentation to the class about my native country – Cyprus – in Greek. My new friend would translate the presentation into English as I spoke. I was enthralled. Of course I would do it – no shrinking violet here. I had loved to talk in my class back in Cyprus – sometimes to the teacher’s annoyance – so here was an opportunity to talk again. I rushed home after school and told my family all about it. 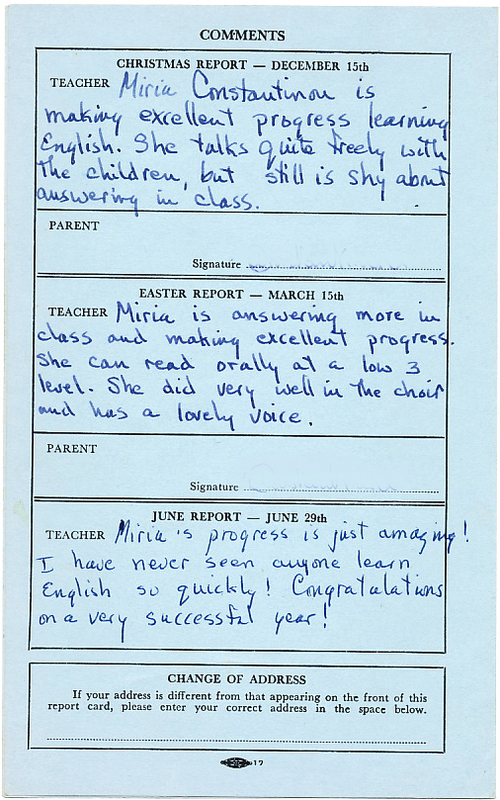 They were pleased and flattered that Canadians wanted to know about Cyprus and that this teacher was so encouraging. We had been familiar with Canadian soldiers in Cyprus. They had been part of the peacekeeping force sent by the U.N. in the early 60s to keep the Greek and Turkish Cypriots from attacking each other. (A long and complicated story which I can’t even begin to describe here). 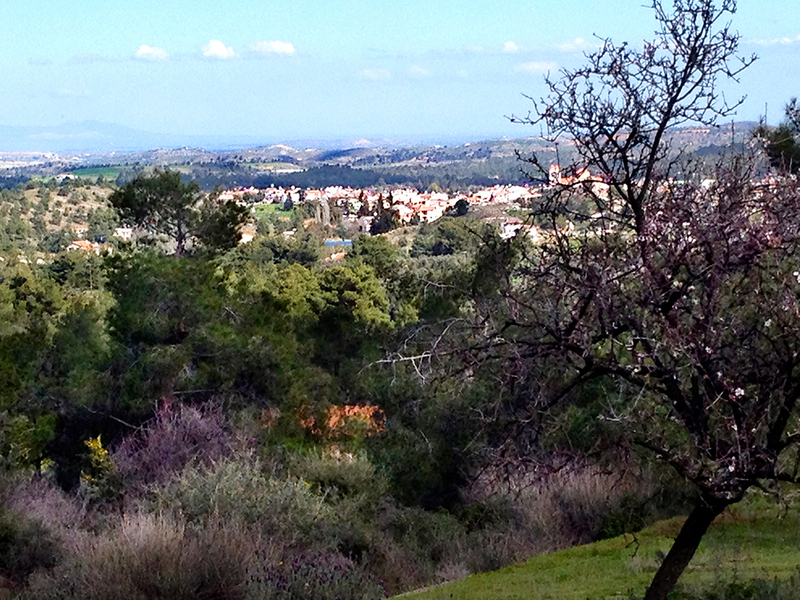 To us, the Canadians were tall, blond, remote and eager to swim in the Mediterranean in January. We didn’t understand them. I got to work on my assignment, drawing a map of the small island on Bristol board, adding mountains, plains, main cities and the recently established flag. I didn’t have to look any of this up since I had been taught to do this as part of my earlier education. That along with knowing all about our main industries, what we exported and our current population. Standing in front of the class, next to my Greek translator I presented all of this information to the curious group who listened politely. I was not sure about the accuracy of the interpretation, how could I be? But when we finished, we received a round of applause and, I’m certain, a measure of respect that would have been more difficult to gain had I never been given that platform. Of course this was only the beginning of becoming part of the class and truly learning to communicate in another language. I listened and tried to absorb the rhythm of the words, the pronunciation, and especially the slang and jokes that made the rounds. Although most of the kids were kind, there was occasional bullying – interestingly only by the Greek boy who seemed to enjoy chasing and teasing me in the schoolyard. When I mention this story many years later, friends note that it was probably more a case of pre-pubescent hormones rather than outright hostility. By the end of that first school year (I had arrived in November) I remember feeling comfortable speaking English and realizing that yes, you can think in another language. Who knows what I actually sounded like – we have no recordings, or videos – but I obviously didn’t care because I leapt in often using words I had only encountered in books. Many years later at university, I amused a professor by pronouncing the word ‘awry’ as ‘awe-ree’. He actually giggled. Mrs. MacEwen wouldn’t have.